I was in Puerto Galera for a three-day-two-night vacation last March 2011. Here are some of the pictures I took using the cameras of Pol Faustino and Jeje Lao. During our vacation, we experienced playing on the beach and riding the banana boat (which is pretty cool). 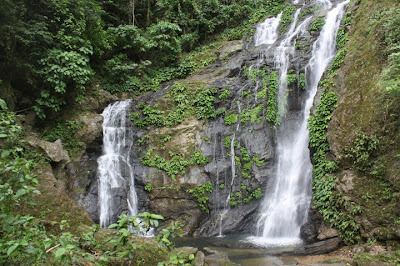 We also visited the Tamaraw Falls located beside the highway.